Our pets don't judge us when we spend the day in yoga pants, but that doesn't mean they would be caught dead in them if given a choice... or, maybe they would? Wanna commemorate your fur baby’s style? Commission a one-of-a-kind portrait. Pick a pre-designed piece from the gallery and pair it with a breed of dog or cat from my library of ready-to-go designs. 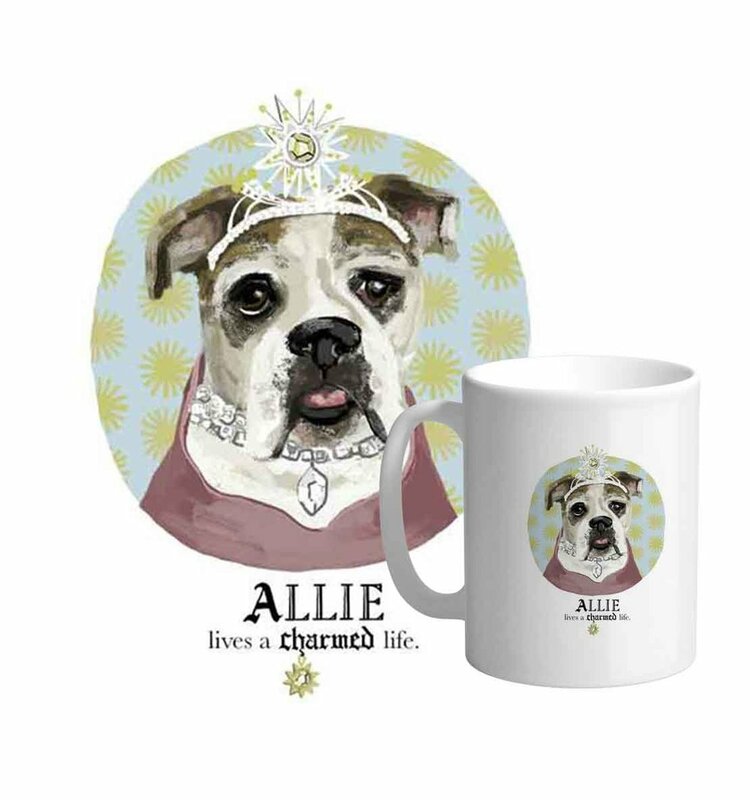 Pick a pre-designed piece from the gallery and get it customized with your pet's face and hand lettered name. HOW IT'S DONE: It's super easy and loads of fun! Because I'll be in touch shortly with some ideas that truly befit your pet's personality. Once you squeal, "OMG–THAT'S PERFECT! ", I will get to work digitally drawing and painting. The final piece will be printed on heavy-weight, archival, rag paper and mailed with an oh-so-official certificate of authenticity. refer a Friend, earn some bones!